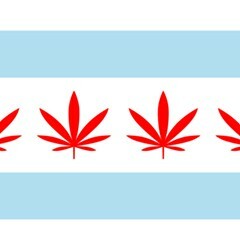 The proposed Illinois law would make it legal for adults to possess, purchase, and grow weed. The mood among marijuana legalization advocates at the Illinois State Capitol was jubilant Wednesday after legislation was filed to legalize weed for recreational use. Bills were introduced in both the state house and senate today that would make it legal for people 21 and older to purchase, possess, and grow limited amounts of pot. The bills would establish a system by which businesses are licensed and regulated to grow process, test, and market the drug to adults. 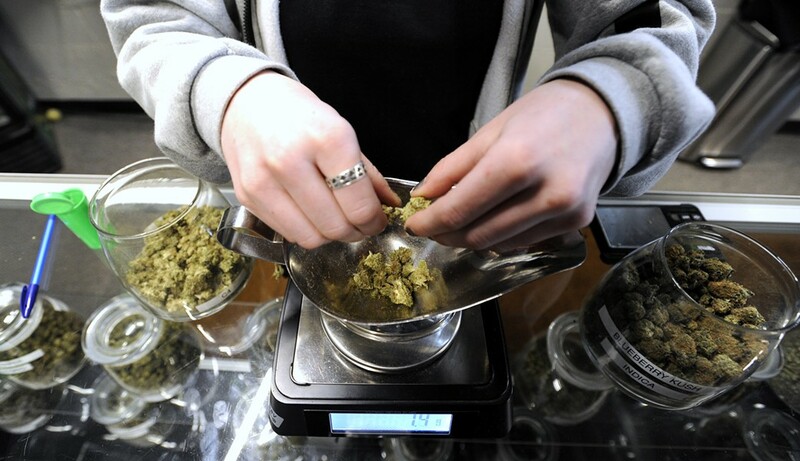 The legislation also proposes taxing wholesale sales of weed at a rate of $50 per ounce and subjecting retail sales to the state's 6.25 percent sales tax. The law would also allow Illinois residents to grow up to five pot plants, says Dan Linn, executive director of the Illinois chapter of NORML, the National Organization to Reform Marijuana Laws, who was at the statehouse Wednesday. The filing of the legislation today coincided with his group's "lobby day," meaning marijuana reform advocates were already in the state capitol when they heard the news. Linn says he had expected a recreational bill to make its way through Springfield eventually, given that eight other states have already legalized weed for recreational use. "Obviously, the state of Illinois needs money," Linn says, "and people are looking at the success of [recreational marijuana sales] in Washington and Colorado." The Marijuana Policy Project, a national organization working on pot policy reform, projects that sales of legal weed in Illinois could produce between $350 million and $700 million in tax revenue for the state each year. That's a huge amount of potential untapped revenue given that Illinois is embroiled in a budget crisis and lawmakers have yet to find a solution for the state's woefully underfunded pension obligations. The Rocky Mountain High state collected almost $70 million in taxes from marijuana sales in 2015. Legal weed could have huge revenue implications for Illinois given it's "a bigger state" than Colorado, says Chicago Democratic state senator Heather Steans, the sponsor of SB 316, as the senate bill is known. She says the legislation filed today—and the house bill sponsored by Chicago Democratic rep Kelly Cassidy—is a starting point for a "public dialogue" about legal pot. She hopes to get enough feedback to determine "what's the right way to structure this in the state of Illinois." Mark de Souza, CEO of Revolution Enterprises, a state-licensed medical marijuana cultivator, says he looks forward to participating in the legislative process. Legalizing recreational marijuana would be a "huge positive" for the state, de Souza says. He says he hopes the state takes the same approach with recreational marijuana that it did with medical pot by setting up a strict regulatory framework for the cultivation, testing, and sale of the drug. De Souza opposes the provision allowing residents to grow their own pot. "I think it's bad for the state and its citizens," because it would limit the amount of tax revenue the state could generate, he says. If recreational pot does become a reality in Illinois, de Souza says he'd like his company to become a part of the supply chain, especially given the low number of patients—approximately 16,000—currently approved to purchase medical cannabis in Illinois. "Recreational would allow us to use the capacity we originally built our business out for," he says. "We hope to be one of the largest taxpayers in the state, but that will only come with increased demand, and I think [recreational marijuana] frees a lot of that up." Steans says she hasn't heard complaints of any adverse outcomes resulting from the state's medical marijuana program—a fact that could prove valuable when trying to assuage any concerns about potential effects of full legalization. Law enforcement groups and others initially expressed reservations about the program, which in part led to Illinois having one of the country's most tightly regulated medical programs. Aside from its potential economic benefits—including the creation of potentially thousands of new jobs—Steans says she's also motivated by the potential public health benefits of marijuana. Studies have shown the drug can reduce reliance on opioids and may help treat substance abuse disorders. Additionally, she says, because people of color are far more likely to get arrested for pot possession than whites, fully legalizing weed would also curb significant inequity in our criminal justice system. Despite these possible benefits, legal weed is probably going to be a tough sell in Illinois. Lawmakers and advocates worked for more than a decade to establish a medical marijuana pilot program. Significant compromises, including barring medical marijuana cardholders from growing their own pot, were made to ensure the legislation passed. 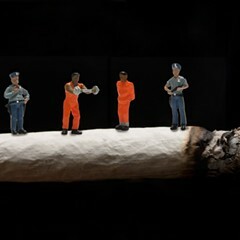 Weed also remains a federally scheduled drug at the national level, and that's unlikely to change given recent comments from the Trump administration and Attorney General Jeff Sessions. "It may take a while," Steans acknowledges. She says she hasn't received any indication of support from either house speaker Michael Madigan or senate president John Cullerton, because neither she nor Cassidy are interested in pushing a vote until January at the earliest. Hearings will begin in the next few months, and "right now we're starting to educate and build support," she says. "This is going to take some time to get negotiated between all the different stakeholders," Linn adds. "We're talking about potentially a very large industry coming into Illinois." Still, Linn says he's hopeful. The legislation also means that advocates can now lobby in favor of an actual bill rather than a concept, he says. "I think if we could get a groundswell of support from every cannabis consumer in Illinois and people who think the law should change," Linn says, "we could see a grassroots movement push this over the edge." Cook County voters overwhelmingly came down in favor of making weed completely legal Tuesday. It took statewide decriminalization to get Chicago cops to stop arresting mostly black Chicagoans for possession of small amounts of weed.